Winston Churchill once wrote “History will be kind to me as I intend to write it.” The 5th grade extended team at The Lexington School is writing history too, literally and metaphorically. 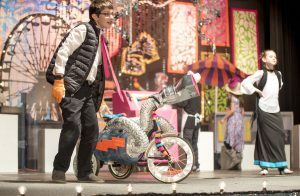 “Lighting Up History,” the 5th grade musical, is an interdisciplinary and collaborative experience where students learn history while they imagine, design, build, create, and perform. Through this process, intensely focused on student participation, you can see the lights turn on in the minds and hearts of these young people; it is the lighting up of their personal history that means the most. Want to see how to light up history? This is a musical guide. It starts with a script that Dr. David Cooper, 5th grade Musical Director, curates and writes based upon early 20th century when the western world was “electrified.” A study of how electric light changed everything, he weaves historical vignettes and musical performances together to build an energetic template for each student’s participation. Next, it takes courage, but all students are required to audition, and all students received a role. All have speaking, singing, and dancing parts in this production. The light shines on everyone! There’s more. 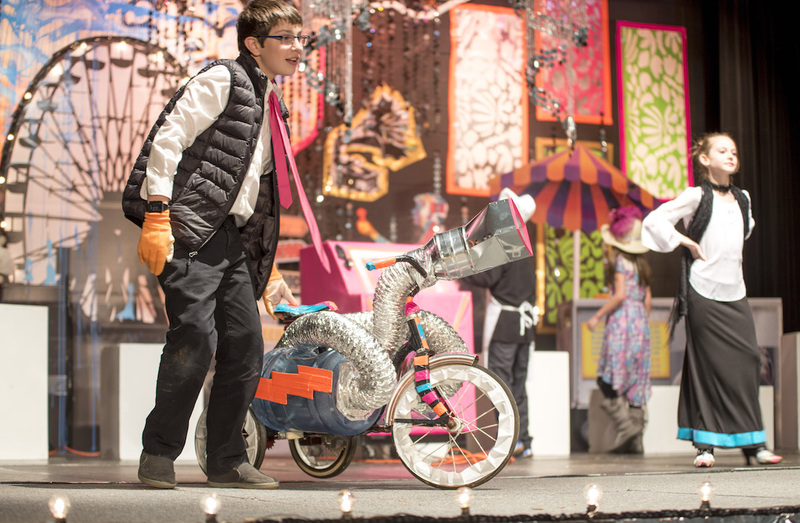 Through the direction of Sarah Heller, 5th grade Creative Director, students engage in the full visual arts production. 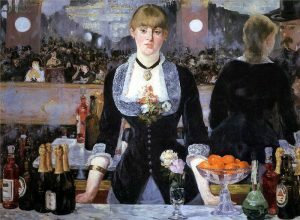 For “Lighting Up History” specifically, students analyzed film and painting examples from “My Fair Lady” and Edouard Manet’s “A Bar at the Folies-Bergere” to brainstorm ways to use color and texture symbolism in scenery, costume and set design, and individual props. A design thinking work station just outside of the theater allowed students to create at will the props needed. For costumes students repurposed old materials in creative ways for outfits of black and white with pops of color: hot pink, turquoise, tangerine. That’s not all. 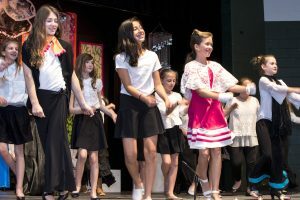 Anna Merritt turned physical education into choreography class where building anachronistic dance routines added to the humor and fun and showed students how dance and movement adds texture to any storyline.